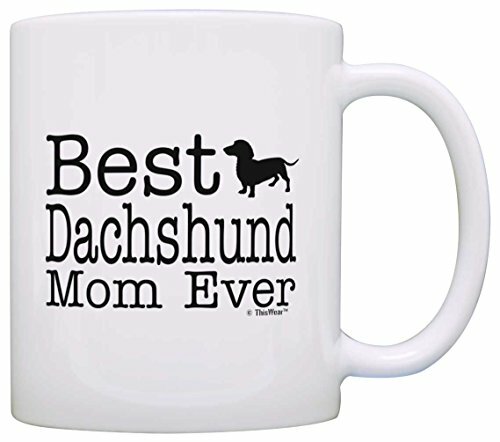 A perfect birthday gift or Christmas gift for a dog Mom. This traditional 11 ounce white ceramic coffee mug is perfect for any hot beverage. Wide mouth and large C-handle allow for easy, every day use. Whether drinking your morning coffee at work, or sipping on a hot cup of tea at home, this mug is up to the task. Microwave and dishwasher safe for your convenience. All designs are lead free.